Make Whole Wheat Dutch Oven Bread FASTER! It pays to experiment. Today I decided to try making whole wheat no knead bread faster to avoid the overnight wait. I increased the amount of yeast and it worked! Most no knead breads use 1/4 teaspoon of yeast so I tried 1 teaspoon and let the dough rest for just three hours instead of overnight. I was so happy with the result. It’s a nice hearty loaf with a soft interior. 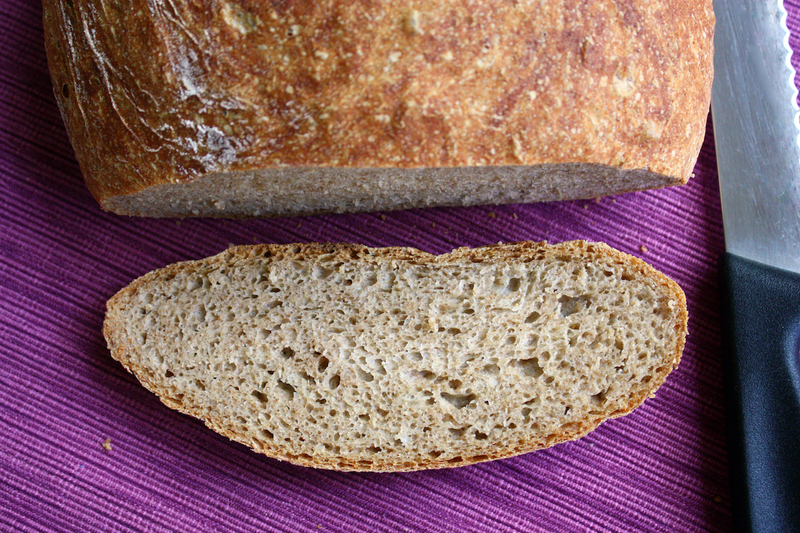 This is not 100% whole wheat because that is a heavier, dense loaf. This is 2/3 whole wheat to 1/3 bread flour but it’s still a good source of fiber. 2 Comments on "Make Whole Wheat Dutch Oven Bread FASTER!" Jenny, what’s the best way to keep homemade bread fresh? I made a loaf of your “No-Knead Bread,” and it grew stale after only 2 days. I put the bread out on the table in a bread bag, but maybe I should have stuck it in the bread box? Please let me know what’s best.